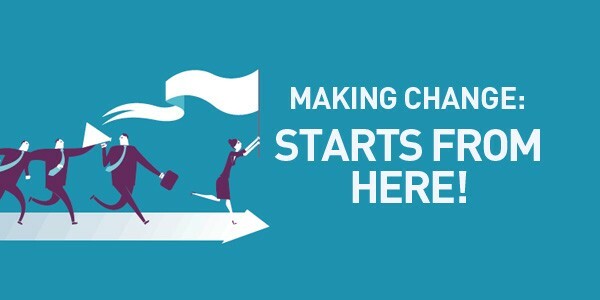 Making Change: Starts From Here! Amid all the noise and passion of our constant debate on new and old ways of marketing communication, the industry reminded us that no matter whom we are, where we come from or what brand/product we are managing, each of us is a part of something exciting — something more consequential than just brand or product campaigns. 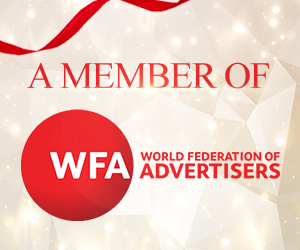 We are part of the marketing and communication family. We believe that in an industry where every single campaign that’s launched or a brand created, there is always some great effort and thinking behind that generated the exciting results. At stake right now is not who can build better brand. At stake is whether are we equip with the needed skills, knowledge, resources, people, tools, regulation and sustainable system in elevating our standard to be consistent with the growing global competitiveness and changing consumers’ demand. We are poised for progress and we need to be more prepared than ever for all the challenges ahead of us. Migration of creative and marketing talents out of the country is certainly affecting the quality and effectiveness of our work. It’ll only get worse if we do not have a long term and amicable solution to it. Attracting and growing more local young talents should be the key priority for all in the industry, otherwise looking out may only be the solution for the time being. Proliferation of media channels, in particularly in the digital sphere is causing more sleepless nights for the media practitioners. We need more resources and man hours to provide the same media plan than before. How can we cope better to ensure our media investment is more effective and efficient? Measurements and more measurements, no marketer could dispense a single marketing dollar without a clear justification of the investment. Increasing transparency and accountability is the order of the day. We have to promote and strive for single measurement currency through ABC and any other related bodies to avoid unnecessary duplications and confusions in the market place. Continuous year-on-year media inflations, especially with the key media operating on a dominant environment are contributing to higher cost of doing business. How can we remain competitive in keeping our cost low and having enough to build our brands? Collectively, MAA members should continue to engage the media partners in managing the inflation and ensuring a healthy growth of the business. The underlying regulatory system should continue to provide greater support to accelerate the growth of creative economy and creative related businesses, but not as deterrence for growth. Speed of execution is key and it can only be achieved through increasing professionalism and competencies of those in authority to regulate the industry. There’s definitely a role for MAA in providing the needed expertise and support to the Ministries as evidenced in our past initiatives through ASA and CMCF. Despite the growing challenges, this should not discourage us in MAA, we just have to do more and more things right. The world has changed, so did the rules and to win the future, we’ll need to take on challenges that have been decades in the making and push for the necessary transformations. 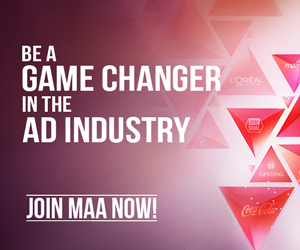 This requires strong commitments for everyone in the MAA Council, Members and the whole industry. With the many years of good knowledge, skills, experiences and the dynamism of the market players, we in this industry could out-create, our-develop and out-perform the rest of the world, sometimes I do believe impossible is indeed nothing if we are committed in taking the industry to a higher level.